With one week left to Thanksgiving, restaurant seats are filling up as fast as you can top mashed potatoes with gravy, so hurry and make reservations before it’s too late. In all of the years that I’ve written these roundups, I’ve never seen so many places reporting so few openings left. On Thanksgiving Day, Ka’anapali Beach Hotel will present your choice of an all-you-can-eat brunch from 11 a.m. to 1 p.m. or a dinner buffet from 3 to 7 p.m. Cost for either meal service is $55 for adults, $26 for children 6 to 12 and free for toddlers. Renowned as “Maui’s most Hawaiian hotel,” KBH exudes hospitality and warmth from the valet to the servers. Its Executive Chef Tom Muromoto and Executive Sous Chef Chris Napoleon will wow you with kiawe-roasted turkey with corn, sausage and sage stuffing; slow-roasted prime rib; herb-roasted pork loin; and passion fruit-glazed ham along with a cold seafood display of fresh oysters on the half shell, crab legs and Okie Dokie poke. Enjoy salad items from a host of local favorites, and pile your plates with hot entrees and noodles. The little ones will delight in the keiki buffet, and there will be a feast of desserts. Reservations are required. Call 667-0124. Baking up a storm of seasonal pies, Leoda’s Kitchen & Pie Shop chefs in Olowalu are ready to take Thanksgiving orders now. Executive Pastry Chef Ed Morita and the Hoaloha bakeshop team have an incredible specialty pie lineup including pumpkin, pecan, double-crusted apple, sweet potato, imu butternut, custard, berry and guava chiffon. Leoda’s favorites are also available to pre-order, such as banana cream, Olowalu lime, chocolate haupia, peanut butter and chocolate mac-nut. All nine-inch pies can be ordered until 1 p.m. Tuesday with pickup at any time on Wednesday or until 4 p.m. Thanksgiving Day. Can’t wait? Leoda’s is featuring a different pie every day until Sunday when pumpkin pie is featured. Delight in pecan today, imu butternut on Friday and guava chiffon on Saturday. Turkey dinner with all the trimmings will be served on Thanksgiving Day by Executive Chef Alex Yago, Sous Chef Jared Nakamura and team between 11 a.m. and 4 p.m. The dinner includes turkey, signature stuffing with signature Leoda’s bread, mashed potatoes, green beans, pan gravy, cranberry sauce and a mini apple crumb or pumpkin pie. To-go turkey dinners are now also available to pre-order. Leoda’s normal operating hours are 7 a.m. to 8 p.m. daily. The store closes at 4 p.m. Thanksgiving Day. To order or for more details, call 662-3600. The Hyatt Regency Maui Resort & Spa in Kaanapali will once again present an all-you-can-eat buffet from 10:30 a.m. to 2 p.m. in Swan Court restaurant. Enjoy inspiring views of swans, lagoons and waterfalls and gourmet brunch with a seafood bar, assorted fruits and cheeses, fresh garden greens, hand-sliced roasted turkey with all of the traditional fixings and salt-and-pepper prime rib. Cost is $69 for adults, and $35 for keiki ages 5 to 12. Hyatt Maui will also jump with the Drums of the Pacific luau and dinners at Japengo, ‘Umalu and Son’z Steakhouse restaurants. For Hyatt reservations, call 667-4727. At Sansei Seafood Restaurant & Sushi Bar outlets in both Kapalua and Kihei, sushi chefs will be on a roll with fresh bluefin tuna from Japan and the hugely popular crab and mango hand rolls. From the main kitchen, Executive Chef Kaipo Nakata expertly produces the cooked-food part of the menu, such as the blistered shishito peppers in a ginger-scallion-soy reduction; crispy Brussels sprouts salad with farm-fresh poached egg; and short-rib poke with zesty chimichurri sauce. Dinner is from 5:30 to 10 p.m. For reservations, call Sansei Kapalua at 669-6286 or Sansei Kihei at 879-0004. Cane & Canoe signature restaurant at the Montage Kapalua Bay will present an all-you-can-eat buffet from 3:30 to 7:30 p.m. with a seasonal craft menu by Chef de Cuisine Robert Barrera. Highlights are the Upcountry farmers market table; Diestel Farms organic roasted turkey; mountain apple and brie stuffed Berkshire pork loin and misoyaki glazed butterfish with baby bok choy. Sides include green bean Almandine, Kula cornbread, roasted Molokai sweet potatoes, Hana Fresh vegetables, Maui greens and Haliimaile tropical fruits along with cheeses, breads, charcuterie and mustards. The keiki station with pizza and tater tots appeals to the knee-high set. Desserts of carrot cake cupcakes to classic pumpkin pie with chantilly cream will please those with a sweet tooth. Cost is $90 for adults and $30 for keiki ages 5 to 12. For reservations, call Montage Kapalua Bay at 662-6681. Are you an “armchair quarterback” looking for a cool place to watch the game on Thanksgiving Day? Ka’anapali Grille & Tap Room at Marriott’s Maui Ocean Club is the ticket. “We have Direct TV, so we’re able to show all of the football games on our 10 large flat screen HDTVs,” says General Manager Kris Galon. The Tap Room just reintroduced hamburger, kalua pork and braised short rib loco mocos, the latter slow-cooked for about six hours. 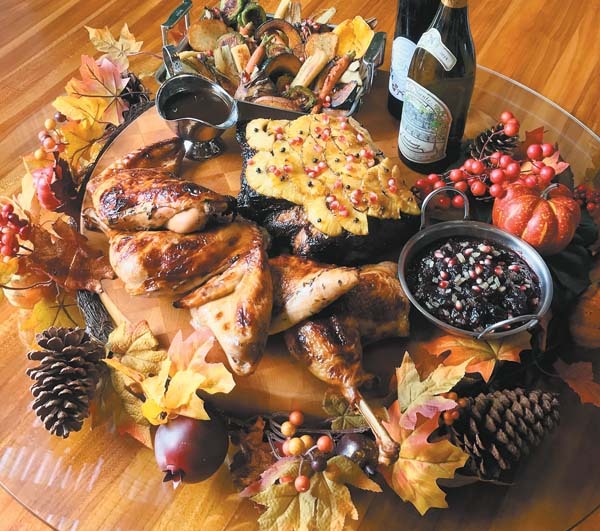 “We’ll serve a traditional Thanksgiving dinner from 5 to closing,” says Galon. “We have our own Waikiki Brewing Company beer with nine varieties, including our award-winning Blackstrap Molasses Porter silver medalist at the Great American Beer Fest. For more details, call 667-7733. Seats are going fast at Cafe O’Lei at the Dunes in Kahului, which will present its annual buffet of festive foods on Thursday. 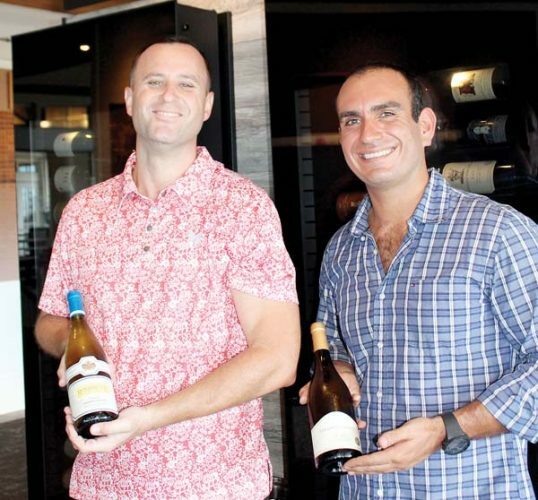 In addition, it will offer a special turkey dinner at Cafe O’Lei in Kihei and ami ami Bar & Grill in the Maui Coast Hotel in Kihei. Reservations are highly recommended. Call 877-0073. At King Kamehameha Golf Club in Waikapu, bring the family to an all-you-can-eat Thanksgiving brunch featuring the music of Hawaii recording artist John Cruz along with Arlie Asiu. There are two seatings, the first from 9 to 11 a.m., and the second from noon to 2 p.m. in the banquet room with bi-coastal views. The plans were designed by Frank Lloyd Wright. 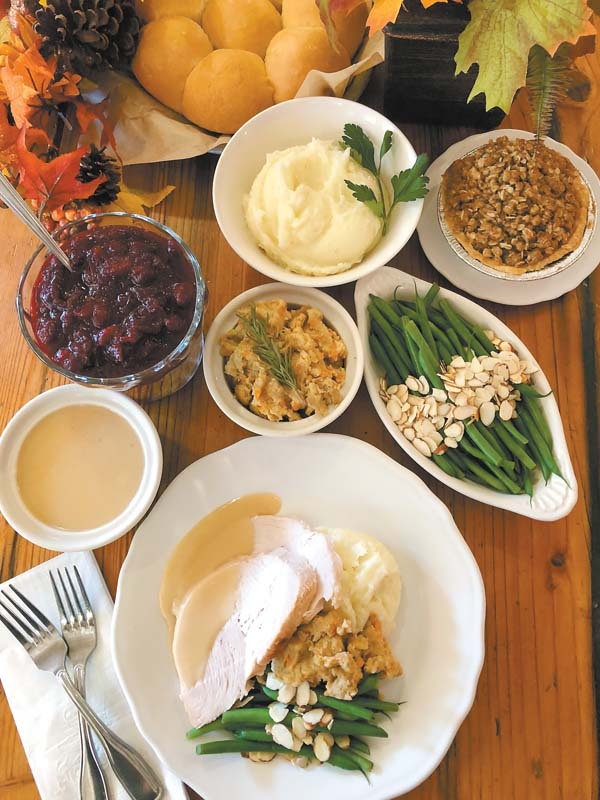 Hot entrees include salmon with lemon-caper sauce, honey-glazed baked ham and herb-and-citrus-butter roasted turkey. Tempting sides are mozzarella served with vine-ripened tomatoes, fresh fruit salad, mixed Upcountry greens, omelets made to order, loaded mashed potatoes, Blue Lake green bean and Maui onion casserole, sweet yams with marshmallows, fried rice, desserts, assorted juices, coffee and flavored teas. Cost is $45 per person and $22.50 for children ages 10 and younger. Reservations are required. Call King Kamehameha at 243-1025. Also in Waikapu, sister outlet Kahili Restaurant will present a Thanksgiving Day dinner buffet with two seatings from 4:30 to 6:30 p.m. and from 7 to 9 p.m. next Thursday. Executive Chef Eddie Munoz will do Cajun-crusted fresh catch, grilled pork medallions with mushrooms in Marsala sauce, rosemary-scented turkey breast, prime rib of beef with creamed horseradish and au jus, Brussels sprouts gratin, seafood on ice, seasonal fruits, juices, coffee and tea. The cost is $44 pr adult and $22 for kids 10 and younger. Reservations are required. Call 242-6000. Genki Sushi in Maui Mall in Kahului will be closed for the first time in 13 years for Thanksgiving Day. But its regular hours for pick up Wednesday are 11 a.m. to 9 p.m. Best bets are bentos to-go to enjoy at the beach or home. Select from fried items such as garlic chicken, chicken karaage, squid karaage or chicken katsu and a sushi such as California roll and ume make — and you’re all set. For more details, call 873-7776. Wei Wei Cafe & Noodle House will be open on Thanksgiving, starting at 10 a.m. Situated in Happy Valley in Wailuku, Wei Wei has housemade noodles that are perfect for gatherings. Come and indulge in steaming bowls of saimin brimming with housemade broth and noodles with roast duck or fresh veggies in medium or large sizes. Or delight in house won ton mein, thick udon noodles with rich broth and beef or chicken toppings and cake noodles, too. Phone ahead for small or large catering pans of your favorite Chinese food. To order, call Wei Wei at 298-0960. Looking for a hostess gift or a nice dessert to serve at your own Thanksgiving Day feast? Home Maid Bakery on Lower Main Street in Wailuku will be baking up a storm of pumpkin, custard, apple and French apple pies along with combo flavors of pumpkin-custard. Cost is $8.89 each. 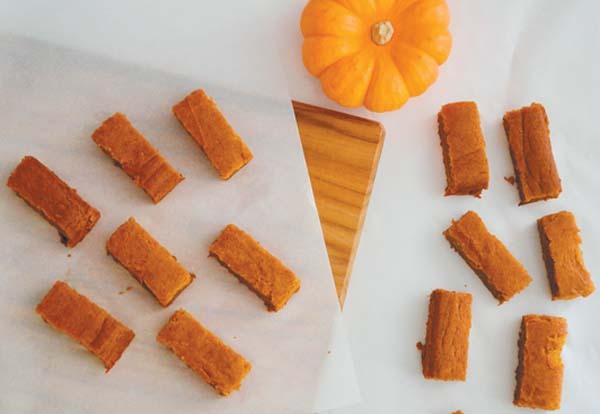 The landmark bakery will also make special pumpkin mochi for $6.25 per package. Home Maid Bakery is open from 5 a.m. to 9 p.m. Thanksgiving Day. For more information and to order ahead, call 244-7015. Iconic Mama’s Fish House in Kuau is open from 11 a.m. to 9 p.m., and if you pick up the phone now, you may be able to snag a table for small parties. Reservations are a must. Call 579-8488. Join the 5 Palms ohana oceanfront at the Mana Kai Resort in Kihei for sweeping views from its perch on a knoll overlooking Keawakapu Beach and the Neighbor Islands. Dine on a three-course turkey dinner or opt for the turkey plate and other limited, gourmet a la carte menu items from 3 to 9 p.m.
For the three-course, begin with roasted butternut squash soup with spiced creme fraiche; or hand-picked baby greens with goat cheese, roasted beets and pomegranate seeds tossed in white balsamic vinaigrette. Then savor the entree plate of roast turkey, sausage-apple stuffing, yams, giblet gravy, cranberry sauce and green beans amandine. Dessert is Pumpkin ‘N’ Spice. Dine from 3 to 4 p.m. for the early-bird prices. Cost is $47.95 for adults and $25.95 for kids 12 and younger. The cost from 4 to 9 p.m. for adults is $52.95 and $34.95 for children. The a la carte turkey plate costs $38.95. Call 5 Palms at 879-2607. The award-winning Seascape Maalaea Restaurant will serve Thanksgiving lunch from 10:30 a.m. to 3 p.m. in its prime spot overlooking Maalaea Harbor at Maui Ocean Center. Diners are not required to pay for aquarium admission to eat there. The prix-fixe menu includes an appetizer of roasted butternut ravioli in sage brown butter and salad of hydroponic baby greens with candied walnuts, dried cranberries, grape tomatoes and other fresh ingredients. Seascape entree choices are fresh catch of the day, baked turkey stuffed with boursin cheese and spinach, or herb-roasted turkey with lup-chong Chinese sausage stuffing. Dessert is pumpkin cheesecake with whipped cream. The prix-fixe dinner costs $38.95 per person. For reservations, call 270-7068. Beach Bums Bar BBQ & Grill in Maalaea will be open on Thanksgiving Day for breakfast, lunch and dinner from 8 a.m. to 9 p.m. Regular crowd-pleasing menu items are the the baby-back ribs, the drunken chicken and sides of beans and cole slaw. There will also be a turkey plate with mashed potatoes, gravy, stuffing, green bean casserole, corn bread and cranberry sauce for $24.95. Prime rib plate is $28.95. Call Beach Bums at 243-2286. The Pint & Cork in the Shops at Wailea is a gastropub and then some. Managing Partner Scott Pacer says that Chef James Wilfong who will serve Thanksgiving dinner from 11 a.m. until it is sold out. “In addition to our regular menu, we’ll do oven-roasted turkey, cornbread stuffing, roasted garlic mashed potatoes, green-bean casserole, cranberry-apricot chutney and dessert of pumpkin pie, cinnamon-whipped cream with Chambord berry compote.” Cost is $29.95. Pint & Cork also validates parking, has a comprehensive whiskey selection, pours 16 rotating craft beers on tap, and has cool and comfy air-conditioning. For more details, call 727-2038. With a restaurant in The Shops at Wailea and one in the Outlets of Maui in Lahaina, Ruth’s Chris Steak Houses will be sizzlin’ with a prix-fixe Thanksgiving Day dinner for $49.95 for adults and $20.95 for keiki 12 and younger. Both Ruth’s Chris restaurants on Maui will open early at 4 p.m. for service on Thanksgiving. For the prix-fixe starter, select a Caesar or steak house salad or Louisiana seafood gumbo. For the entree, Ruth’s Chris Wailea Executive Chef Dan Bader will oven-roast turkey and plate it with sausage and herb stuffing, housemade gravy and cranberry relish. Select a side of garlic mashed potatoes, sweet potato casserole or creamed spinach. Dessert is a duo of pumpkin cheesecake and vanilla ice cream. Or order a la carte porterhouse ribeye for two or the prime options. Call Ruth’s Chris Wailea at 874-8880 or Ruth’s Chris Lahaina at 661-8815. Last, but certainly not least, Grand Wailea, A Waldorf Astoria Resort, will be filled to capacity in its Grand Dining room and Humuhumunukunukuapua’a restaurants. Bistro Molokini may have a few seats left. For reservations, call 875-1234. Happy Thanksgiving, everyone!